District Attorney Leon Cannizzaro’s office announced Nov. 16 it has secured the indictment of three people charged with racketeering conspiracy and other crimes as part of a criminal enterprise trafficking narcotics — primarily crack cocaine — in Central City. 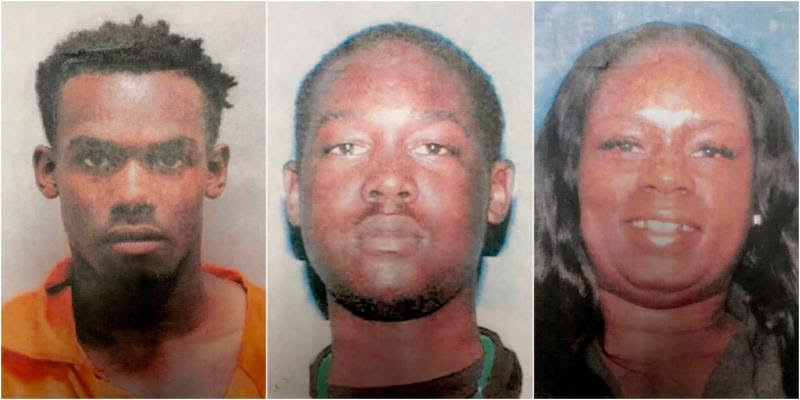 Brandon “Poo” Butler, Darion “D-Man” Audrict and Crystal Butler were charged in the indictment handed up Nov. 15 by an Orleans Parish special grand jury. Crystal Butler, 44, is the mother of Brandon Butler, 22. Audrict also is 22, but turns 23 on Nov. 28. The indictment charges Brandon Butler with 19 counts of assorted crimes, Audrict with 12 and Crystal Butler with two. It alleges all three defendants colluded with additional unindicted co-conspirators, both known and unknown, to facilitate the transportation and sale of controlled dangerous substances, intimidate witnesses, obstruct justice and discharge firearms during crimes of violence, including the murder and attempted murder of rival gang members and an innocent bystander. The group operated primarily near the 2400 block of Josephine Street in Central City, the indictment alleges, claiming that area as its territory for the sale of illegal narcotics and the trafficking of firearms used to protect its drug stashes and members. The group operated from at least May 24, 2015 to April 20, 2017, the indictment says. The indictment also alleges that from about May 25, 2015, to March 31, 2016, Audrict possessed a stolen firearm belonging to slain Housing Authority of New Orleans police officer James Bennett. Bennett, 45, was found shot to death in his patrol car near the intersection of Erato and Freret streets in Central City on May 24, 2015, and his murder has remained unsolved. Sometime between March 31, 2016, and, May 8, 2016, Audrict allegedly gave the firearm stolen from Bennett to unindicted co-conspirator L.A.
On Aug. 14, 2016, Brandon Butler was in possession of a red Honda Accord belonging to a girlfriend in the 2400 block of Josephine Street. NOPD officers recovered from the vehicle a 7.62-caliber assault-style rifle, a .40-caliber handgun, 13 grams of cocaine packaged for distribution and nearly $500 in currency. A DNA swab linked one of the weapons to Audrict. Later that day, Brandon Butler called his girlfriend and instructed her to report the red Honda as stolen in an attempt to obstruct the NOPD investigation into his connection to the guns and drugs, according to the indictment. It also says Crystal Butler drove the woman to the NOPD’s 7th District station in New Orleans East and joined in filing a false police report alleging the vehicle had been stolen. Brandon Butler, Audrict and an unknown co-conspirator reportedly used a stolen truck to approach and open fire upon a group of people at South Claiborne Avenue and First Street in Central City on Sept. 11, 2016. The group included at least two known members of the rival “3NG” street gang based near Third and Galvez streets. The shooting left five wounded but also claimed the life of 63-year-old Earnest McKnight, a bystander. Brandon Butler was arrested on Dec. 1, 2016, after being seen tossing two guns over a fence of the Central City Home Depot while being pursued by police. The indictment says one of the weapons has been matched through ballistics testing to the mass shooting at First and Claiborne, and to the shooting of a rival drug dealer in the 2200 block of St. Andrew Street on Nov. 30, 2016. Audrict was arrested on April 20, 2017, in connection to the First and Claiborne mass shooting. Besides the racketeering conspiracy charge applied to all three defendants, the grand jury also charged Brandon Butler and Darion Audrict with the first-degree murder of Earnest McKnight, conspiracy to commit first-degree murder, and five counts of attempted first-degree murder. Brandon Butler also is charged with the attempted second-degree murder of the rival drug dealer shot on St. Andrew Street, and with obstruction of justice in the investigations of both shootings. Assistant District Attorneys Alex Calenda and Irena Zajickova presented the case to the special grand jury.